What is “soft” pressure washing? When pressure washing a home (vinyl, brick, wood, etc.) or structure (deck, fence, patio, etc. ), there are several factors which have to be considered to ensure the job is performed efficiently, safely, and properly. In addition to selecting the correct tip (for water spray angle) and chemicals (based on the surface being cleaned), selecting the correct pressure is of the utmost importance. The term “pressure washing” often invokes images of a powerful stream of water, such as the one in this post, capable of blasting through glass, window seals, and other delicate features around your home or business. While this is certainly a possibility, with unskilled machine operators, we prefer to use a “soft” wash technique which is safer for your home and landscaping. So what is soft washing? It is a two-part technique in which diluted chemicals are applied to the surface being cleaned (step one) and, after soaking and saturating dirty areas, the area is sprayed off using moderately low-pressure water (step two) via a pressure washing machine. This particular technique helps clean all the cracks and crevices of your home in a safer manner than the old-school method of simply using 100% power and pressure to forcibly remove mold, algae, pollen, dirt, moss, and any other debris. 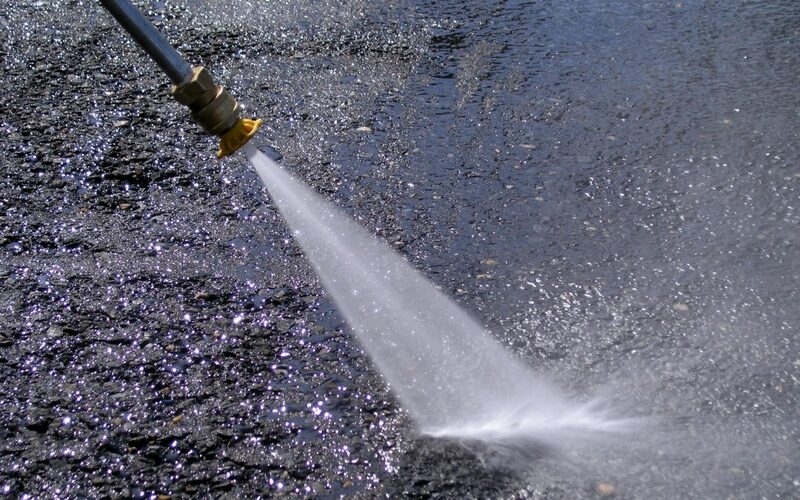 Although full-power pressure washing has its purposes, such as surface cleaning concrete (sidewalks, driveways, parking lots, etc. ), we utilize the soft wash approach on our customers’ homes to ensure they look “New Again” without the possibility of damages to your siding, windows, or landscaping.